If these walls could talk – not every story they tell would be good. I am a lover of all things faith and family. 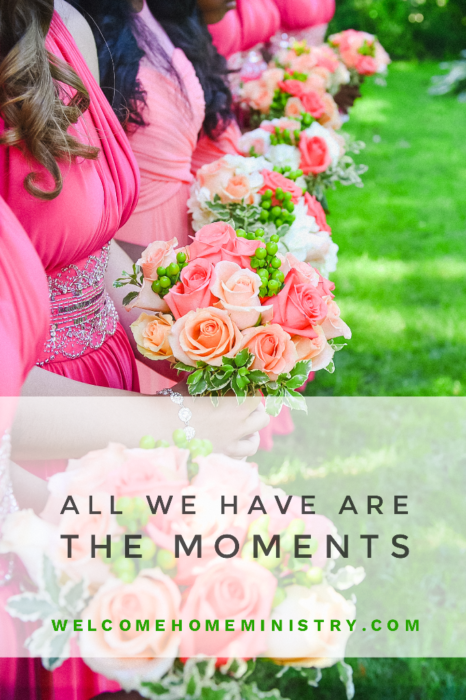 I write blog posts about the intrinsic beauty of family-life, the sacredness of family gatherings, and just how amazing family life really is. While all of these things are true and have their place, that’s not all there is to it. Sometimes there is downright ugliness. Every day, as a wife and mom, I strive to “fight the good fight” and to “finish my race” well (2 Timothy 4:7). But still, it is a fight nonetheless. Let’s face it: fights are ugly, messy, and painful by default. They are not for the faint of heart; yet, my heart is no stranger to fainting. Everyday I strive to spread the sweet fragrance of Christ throughout my home. I try to weave that sweet aroma into my relationships with my husband and my children – but still, there is struggle. And I am a chronic struggler. On a good day, I seem to be one Scripture and prayer away from being the One Who Flew Over the Cuckoo’s Nest. Still, I’d like to believe that at the end of my life’s journey, those who knew me would be able to say that EVERY DAY I tried to fight the good (family) fight. When I began blogging eight years ago, I dedicated this website to my Aunt Barbara, who was dying from cancer. Right before she passed, a family altercation erupted in her hearing, and in her frail and withering state, she lay on her couch, pulled me in close and mustered up enough energy to tell me that I was afraid of one of my kids. AFRAID OF ONE OF MY KIDS! Sometime soon after my dear aunt slipped into eternity, and I was left to wrestle with the weight of her words that lingered in my mind – and my heart. I’ve wrestled with her sentiment for years now, and I’ve finally come to realize – after years of wanting to dismiss it as merely a matter of her opinion, and not the Gospel – that she was right! I am afraid of that kid; and not just that kid, but ALL OF MY KIDS. It’s not a fear of physical abuse ‘cause a sista will jack ’em up in a minute. I’m fearful of not being liked. Sometimes I tiptoe around my children, especially the adult children, so that I don’t lose their favor. I struggle to make hard decisions . . . decisions that would inevitable help them grow emotionally and spiritually. I don’t want to be their scratchy sandpaper, I want to be their smooth-sailing mom. Then my husband makes the hard decision for us both, and of course, I hate him for it. In the hating, I fail to see God’s grand purpose for putting us together as a couple. But lately, I’m starting to see what I believe to be God’s grand plan, a beautiful orchestration for us being together. I want to be like the handful of godly Christian women who mentor me through their books and online writing. Like them, I want to disciple my children well. I want to create a beautiful home-life. I don’t want to be a snarky, overly emotional bundle of nerves. I so desperately want to be a parent who can say that all of my children are walking with the Lord. But that’s just not my story. I have one kid navigating the court system, and another whose life circumstances previously spun our family into crisis. When the crisis was happening – I cried daily. I kicked and screamed. Sometimes, I fell apart and became undone. At times, I doubted and didn’t believe . . . but we kept praying and I embarked upon a meager fast and I HELD ON for what seemed like DEAR LIFE! And now that kid is beginning to bud and flourish as a Christian; and I think that all I did was to get out of God’s way. There are marriages that are off to a fresh start and others that are navigating tough terrain – all while bearing the fruit of new life. When you have a lot of kids, you have a lot to keep you on your knees. 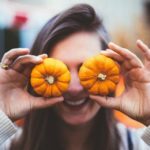 Still, my husband and I are wild enough to believe – after having had the wind knocked out of us as parents more than once – that we can reach out and take on more kids . . . that even while bruised and bandaged, we can still offer up ourselves and make a difference in this world for Christ. Through our brokenness, God makes us into instruments of wisdom and encouragement. I’ve been parenting for 30 years, and I’ve been married for 23 of those years. Regrettably, I’ve wasted so much of that time obsessing over why some of my kids are not walking with the Lord –trying to figure out where I went wrong as a parent and kicking myself for not having the outcomes that other parents (seemingly) have. And all the while, the Lord has been trying to teach me that I am responsible to love, guide and disciple my children with ALL of my heart, BUT I am not responsible for their outcomes. The outcomes belong to Him, and to them. He lovingly reminds me that His purposes for my life are unique, and so shall be my life’s story. It won’t necessarily look like others – so I should stop trying to fit my round peg into their square hole. He pleads with me to stop obsessing over knowing how all the pieces of my life’s puzzle will fit together, and to be content and grateful for this amazing life that He’s given me – lock, stock and barrel . . . husband, home and kids! It’s an amazing life! The Good, the Bad, and the Ugly. EVERY. BIT. OF. IT! It’s His story. I’m on the Potter’s wheel. I am His masterpiece. Listen, if these walls could talk they’d tell stories of dishes flying, of doors being kicked-off hinges because a teen slammed them in a parent’s face. They’d tell stories of a parent who took scared little kids for ice cream after a mom lost it, again! Even so, if these walls could talk I’d no longer be buried under the weight of their stories. I’m learning that the “bad” is just as important as the good, sometimes even more so, because it’s in the trials, the suffering and the brokenness that we tend to know extra measure of strength and grace – the comfort in affliction that we are promised in God’s Word. Through our brokenness, God gives us a unique degree of wisdom and insight. Here is the Truth I am learning: God uses everything! 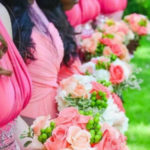 He uses all of my faults, all of my mistakes and all of my ignorance to write the beautiful and unique story that is my life. And He uses that unique story to accomplish His purpose for my family’s life. And if I let Him . . . if I can just trust Him and get over myself long enough to believe that He really knows what He’s doing and that He has my best interest at heart – oh yeah, and that He loves my kids EVEN MORE than I do – then I won’t try to make sense of it all. I won’t waste time despising the lemony cocktail that is sometimes my life. I won’t cast blame – even at myself. I won’t tell myself that things haven’t been perfect, so I don’t qualify to offer up the broken pieces of what I have. I WILL BE SET FREE! 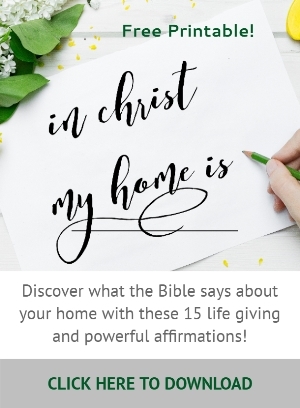 The Truth About Raising Young Adults In Christ, My Home Is – 15 Affirmations for the Christian Home + free printable I’m still here…barely; but I’ve got great pics! 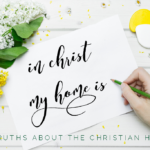 Thank you so much for this beautiful and encouraging post: raw, honest, Christ-honoring words. And oh how I empathize with the battle. It is real. Thank YOU, Jesus for Your grace and ever pursuing love. May our Lord continue to pour in His wisdom, patience, grace and love as you pour out what you are given into the lives of your young people. Love this post and definitely needed it this morning! Our sons are grown and we have 5 grandchildren. 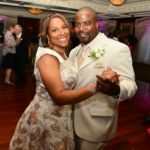 My husband and I still see things differently regarding their choices and decisions and there are times when I wonder why God put us together! Romans 8:28 is always true, thankfully! Especially when we can’t see or understand why or how the things our children (or we) choose to do fits into His grand plan. LIke you, we have to pray and trust, trust and pray, and then do it all over again. Thanks for sharing your story of how faith overcomes fear even when things don’t turn out like we’d planned. Hey Karen, yes…Romans 8:28! It’s the one scripture I didn’t include in the post but would have fit perfectly! I have a large plaque hanging in my living room with that scripture on it. Thanks for stopping by! Redeeming love has been my theme and shall be ’til I die. Thank God for His redemption! And thank you for joining the Grace at Home party at Imparting Grace. I’m featuring you this week! Hey Richella, I love stopping by your place to link up, and I’m so grateful for the opportunity to share this message with other moms. Thanks so much! Thanks for sharing so honestly, Tiffiney! That is such an important point that we do what we can with our loved ones but we are not responsible for the outcome. It’s not easy to hand I over to God, but it is so encouraging that when we d he can use us, even in our mess and brokenness. Hey Leslie, handing our familial situations over to God and leaving it in the Lord’s hand is indeed a challenge. I’ve certainly failed that a time or two, or ten! I’m so glad the Lord is patient and never quits on me. I can relate, Tiffiney, as my sons are all young adults and I am learning so much in the mother-in-law role, as well. I never realized how hard it is to be the parent of 20-somethings. They want their identity as an adult, so any kind of word of advice or even request on my part can be seen as “parenting” them. I really don’t see it that way, but must learn to give them the room to become the adults they so long to be–and are! Lol! Thanks for being so open and vulnerable with us, but yes! My mistakes and dark moments taught me so much more about faith than any smooth-sailing event I’ve gone through! Great thoughts, sweet friend! Tiffiney, What a honest piece. Love your line: “And all the while, the Lord has been trying to teach me that I am responsible to love, guide and disciple my children with ALL of my heart, BUT I am not responsible for their outcomes. The outcomes belong to Him, and to them.” This is such a hard lesson and one we never learn well enough to not have to revisit it. Don’t children have a way of growing us as people and in our walk in the Lord? Keep letting him author your story and use it to help others. Oh, my, Theresa…if I could just remember that I will have to revisit the truth that the outcomes belong to God. Motherhood is the second greatest instrument in my life that the Lord has used to mold me into his image – the first being marriage. Indeed, I am prayerful that He continues to use my story so that others may be set free. Thank you for your transparency. I am sure that was difficult but such truth and love spoken. Praise God that He has given you such wisdom through your reflection of all these things. Stopping by from Grace and Truth Link Up. Hi Timberly! I am in the process of learning that God makes us into instruments of wisdom and encouragement through our brokenness. Thanks so much for stopping by! Love the Grace and Truth community! So sweet, Tiffiney. Thank you for sharing your story, for being vulnerable with us. As a parent, it is difficult not to place blame and excess responsibility on ourselves for our kids’ outcomes. I love that you said that they are God’s and theirs. Thank you for sharing your journey, your heart with us. I have three adult sons and I was a very young mother. I sometimes share that we (my husband and I) grew up with our kids! Parenting is not for the weak-hearted. Thankful we have God to see us through! I’ll be praying for you and your family Tiffiney. I could use some prayer as well. I so appreciate your prayers, Robin! Prayers going up on your behalf, too! Amen!!! Talk about a truth bomb! How awesome to hear your testimony of overcoming! My kids are teeny-tiny but that does not stop me from worrying about the same things! Loved your message on faith and it’s great to receive your encouraging words now to that I can begin to practice them at this stage! Our God is an awesome God, Selena! Hey Tiffiney! Thank you for sharing such an authentic piece of your self. I don’t have children, but one thing that I do know and have experienced is that God certainly does use EVERYTHING! Oh Tiffiney, I relate to you so much and I love your honesty too! Life is sure a struggle and although we can try so hard to be the mom and wife we envision we should and want to be our sinful nature can sure take over. I’m so thankful for God’s grace towards me and that He still uses me when I am bruised and trying to just figure stuff out. Amen, Valerie! Yes, God’s grace is amazing! Hey Tiffany – stopping by from Holley’s. I so agree with you that God uses everything! It’s not always easy to see it in the moment but a good reminder of His power and wisdom. Yes, if these walls could talk! Thanks for the reminder that no experience should be wasted. When we let Him, God truly does use everything for our own good, and for His glory. Deep truth with a dose of humor! 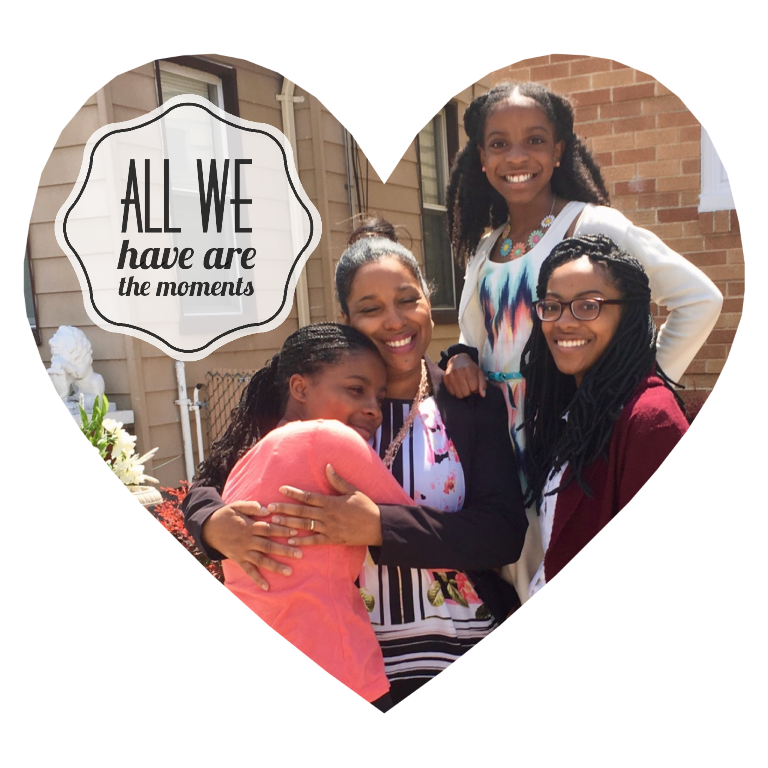 God loves my kids more than I do… there’s power in that! Thanks for sharing these words. You’re not the only one with wall that could tell tales! Blessings! Hey Liz, I have to continually remind myself that God loves my kids MORE than me. Good hearing from you again, Thanks for stopping by! I found this awesome post from #momentsofhope. “Faith is the antidote for fear” – awesome inspiration. I don’t have kids yet, but I have situations and things that I struggle with and send me into an anxious space. I love the reminder to have faith in God, so that fear will flee. Hi Chizoba! No matter our family composition or situation, truth really does remain the same. Thanks for stopping by! oh mercy how I’ve struggled with whether or not my kids like me. And I’m definitely afraid of them….but afraid of them making bad choices and what that means for me when they do….so much work being a mom! I was not too great at leading my older kids in their faith when they were young as I was so immature spiritually myself. Thankfully as my faith grew they watched and have come along in their own time. It’s a beautiful thing. So glad I found your sweet space! Hey Shelly, I’m so grateful that you found this sweet place too! So thankful that you stopped by. Please come again!